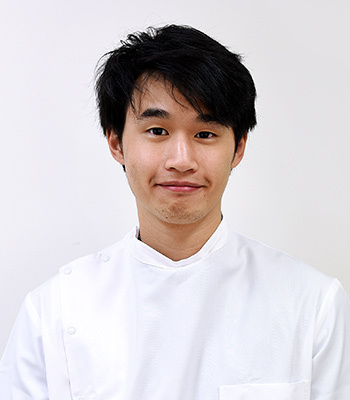 Dr Jonathan Ng is a local Brisbane boy, completing his high school education at Anglican Church Grammar School (Churchie) and eventually graduating from the University of Queensland with a Bachelor of Dental Science (Honours). Dr Jonathan is committed to providing the highest quality of care to all of his patients and strongly believes in ensuring that all treatment options and procedures are clearly understood from the beginning. Dr Jonathan always aims to be friendly and caring, helping him give each patient a pleasant experience at our practice. As Dr Jonathan puts it, “Prevention is always better than the cure.” He places a heavy focus on preventative dentistry in the practice with hopes that he can remove any dental problems in the early phases of treatment—resulting in fewer fees for the patient. Dr Jonathan also has a passion for implant dentistry and has vast experience restoring teeth with crowns and bridges. Dr Jonathan loves animals, spending time in nature and watching National Geographic channel—his favourite animal is an Emperor Penguin. An avid tennis fan, you’re bound to catch him at the local tennis club trying to imitate Roger Federer’s slick moves. Get to know more about Dr Jonathan when you book your next appointment with us!